April 30th, 2018 – Escondido, Ca. When the Calvin Christian School set out to construct a new performing arts center, school leaders hoped to achieve something far greater – they wanted a facility that would nurture the creative gifts of its students while enabling the inspirational delivery of the spoken word. Situated on the School’s 25-acre campus in Escondido, Ca., the new 10,000 square-foot facility was designed to support large-scale play productions, live music and worship services with a variety of content. 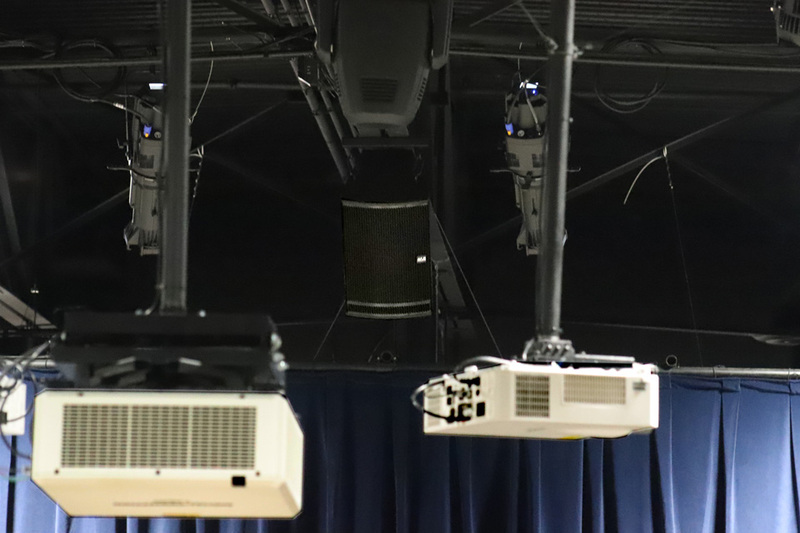 With sound quality at the top of their list, school leaders tapped Fallbrook, California’s Quiet Voice Audio (“QVA”) to provide complete audio system design and installation services for their new space. For Calvin Christian, QVA’s undeniable track record and impressive portfolio spoke for itself. Notable QVA installations include the California Performing Arts Center, Broadway Theater and the House of Blues, to name just a few. San Diego Stage and Lighting was also brought in to provide acoustic consultation and treatment. 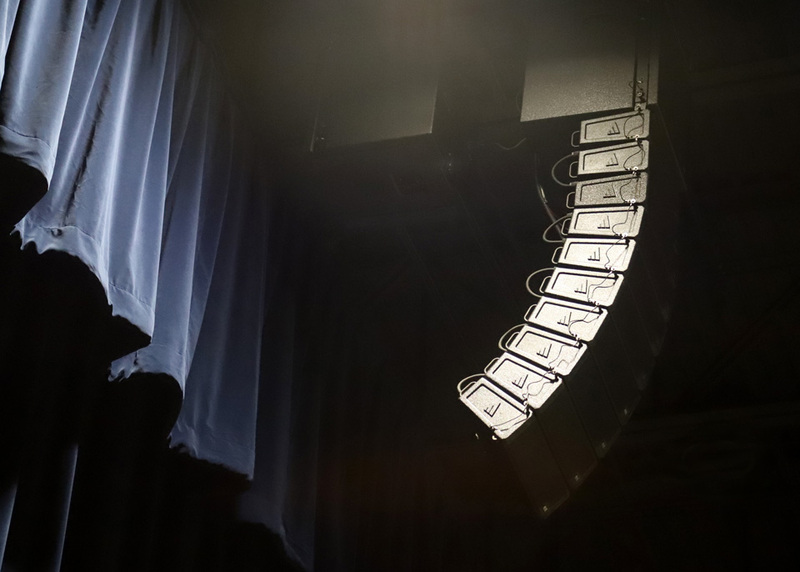 According to Bart, his confidence in the VUE line arrays–and the al-4 specifically — began several years ago when a local demo led to a chance meeting with VUE Design Chief Michael Adams. 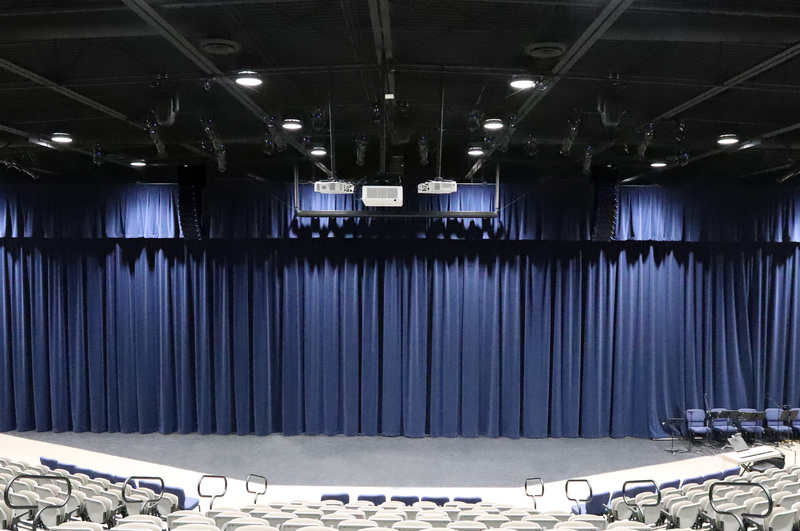 QVA’s final design for the Calvin Christian School includes dual, ten-element VUE al-4 arrays at the left and right of the main stage. A pair of VUE al-4SB Flyable Subwoofers are integrated into the top of each array in an endfire configuration for maximum impact. VUE’s versatile flybar makes integration of the subs and line array elements visually seamless. 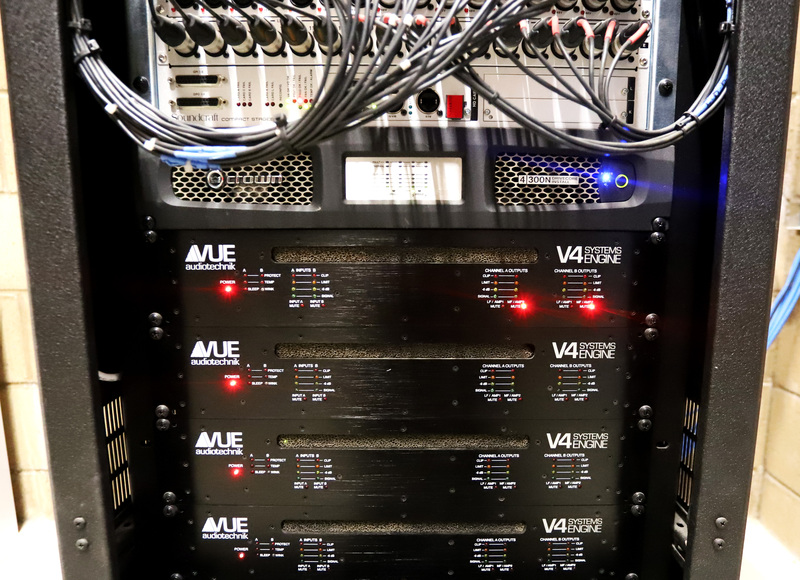 All power and processing for the arrays and subs come courtesy of four VUEDrive V4 Systems Engines. A single VUE h-12W high definition full range systems with onboard VUEDrive electronics provides center fill. 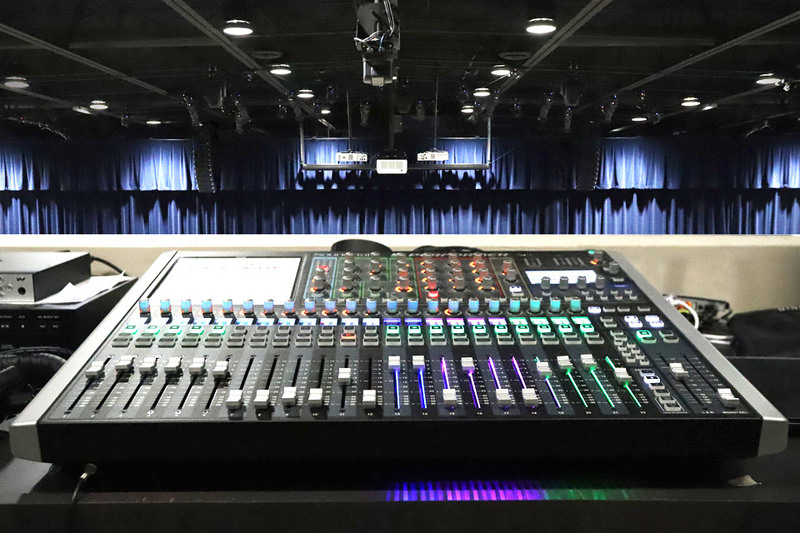 Following a comprehensive onboarding from QVA’s Project Manager Barry DeHart, and System Training Tech Mike Bart, Calvin’s audio team has universally embraced the new system. “They’re all very excited about the sound quality and how even the coverage is throughout the theater,” says Bart. A VUE specifier and installer since 2016, Fallbrook, Ca.- based Quiet Voice Audio (“QVA”) specializes in church and commercial sound systems. Founded in 1995, QVA has provided sound system evaluations, consultation, design, equipment sales, and professional installations from single piece upgrades to complete turn-key sound systems. QVA also provides acoustic design and treatments and hearing assist systems, both RF and loop systems. QVA services hundreds of traditional and contemporary music churches. Commercial accounts include Legoland California, museums in Balboa Park, House of Blues, Moonlight Theater design, Camp Pendleton Marine Base, Julian Theater, Broadway Theater, California Performing Arts Center, Oceanside Art Museum, Madame Tussauds, corporate bands, and city government conferencing centers to name a few.